There are many roads you can travel with Shima. 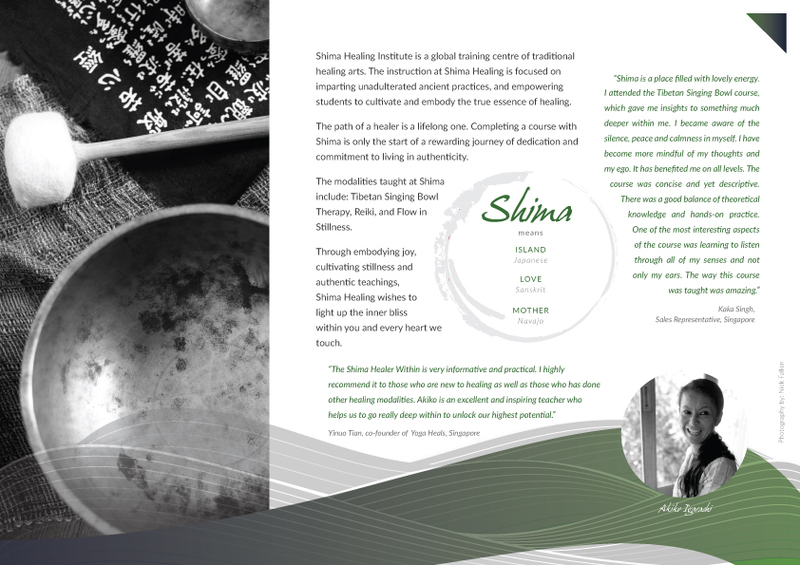 The starting point for all of the journeys begin with Shima Healer Within, which lays down the foundation necessary for you to navigate and explore the world of healing with ease and confidence. As you complete Shima Healer Within, you may wish to continue to the next part of the journey. If it is Tibetan Singing Bowl you wish to deepen the practice in, “Journey” is available as a standalone course for self-care purposes. It can also be taken as the introduction to the Tibetan Singing Bowl practitioner training. For teachers or therapists who already practice holistic healing, “Sojourn” is the recommended course to enable you to integrate singing bowls into your sessions with clients. If it is Reiki you wish to cultivate your wisdom and skills in, “Shoden-Chuden”and “Kundalini Reiki” are available. These can be taken as standalone trainings for personal interest, or as part of a Practitioner or Allied Holistic Therapist program. 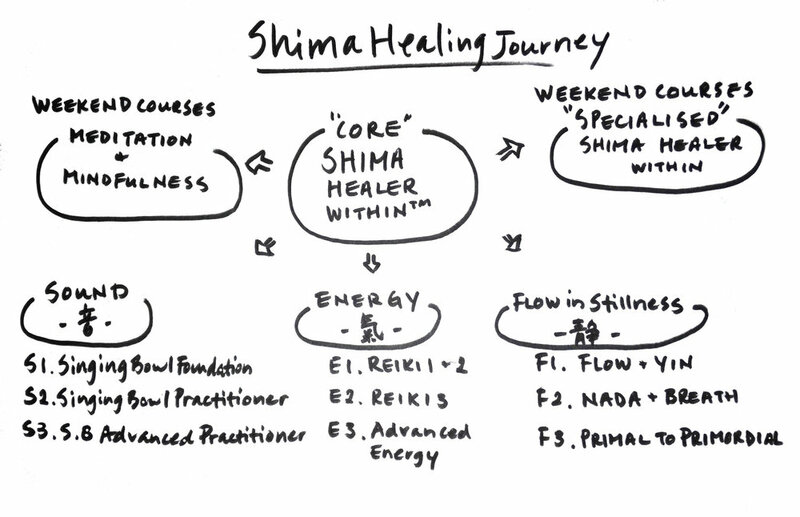 The Shima Journey continues for those who would like to become practitioners of healing. The progression for Tibetan Singing Bowl and Reiki are as follow: Tibetan Singing Bowl: Tranquility -> Infinity; Reiki: Okuden -> Shinpiden. For the few who feel called to further the journey and dedicate their work and heart to service, the Shima Master Practitioner and Apprenticeship Programs are available. A rigorous intake process is required, and deep commitment to living in integrity and authenticity is absolutely essential.